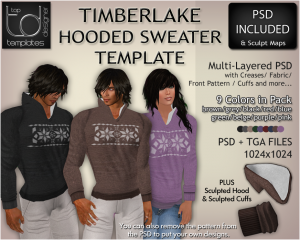 Great for winter and all year round – Timberlake Hooded Sweaters in TGA & layered PSD format. Layers include creases/fabric/cuffs/front pattern and more. Suits both men and women. 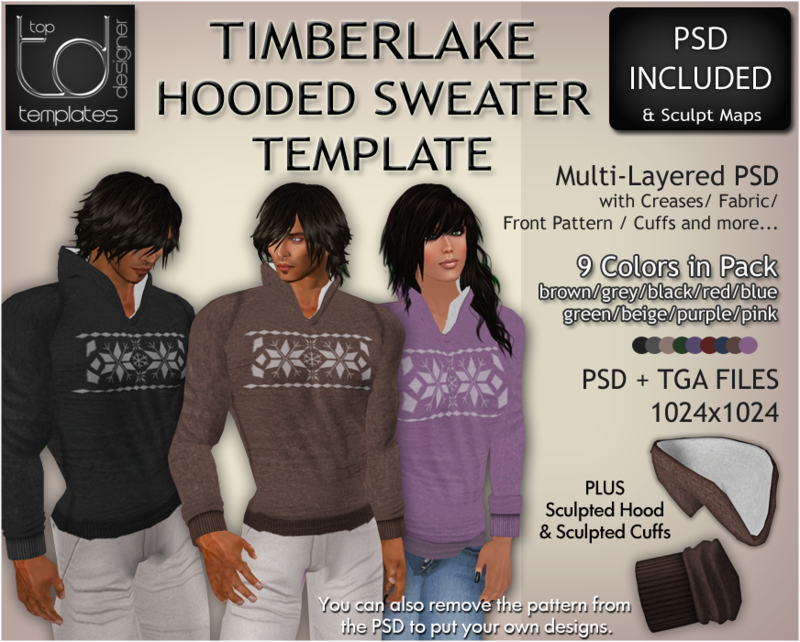 Also includes exclusive by TD sculpted hood+cuffs with fabrics.